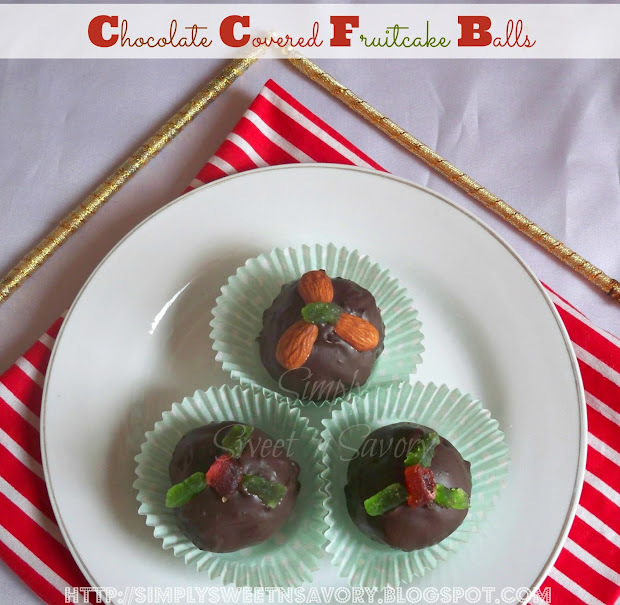 Chocolate Covered Fruitcake Balls ... Use leftover fruit cake, nuts and jam to make these quick and easy cake balls. These bite-sized treats are perfect to serve for parties or any special occasion, or send them as a food gift. 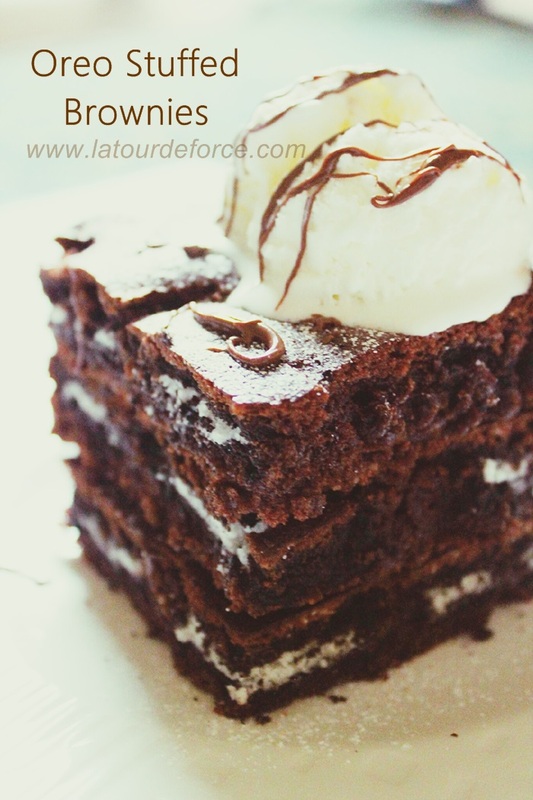 I have the pleasure of featuring today's guest post which comes from Aiza Tariq of ( La Tour De Force ). 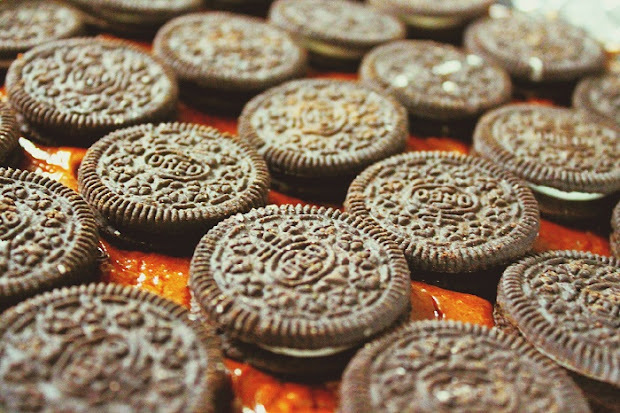 Aiza is a talented young food blogger from Pakistan. Her blog is full of delicious recipes, beautifully written posts and gorgeous pictures. Let's see what she is sharing with us today! Be sure to visit her blog and leave her some love! Hello everybody. I'm Aiza, a girl from Pakistan. I haven't done anything remarkable yet, nor have I climbed any mountains so it's pretty obvious you don't know me. So well, I'm 17, a student in college, someone who aspires to do good someday, what good she has no idea. Apart from that I blog over at latourdeforce.com . My blog is all about emotions, dreams, and of-course food. I've been an avid baker for the past three years. It was a learning process which engulfed me and polished me. Today I'm lucky enough to be posting for one of the best Pakistani bloggers ( Thank you Ambreen! ). 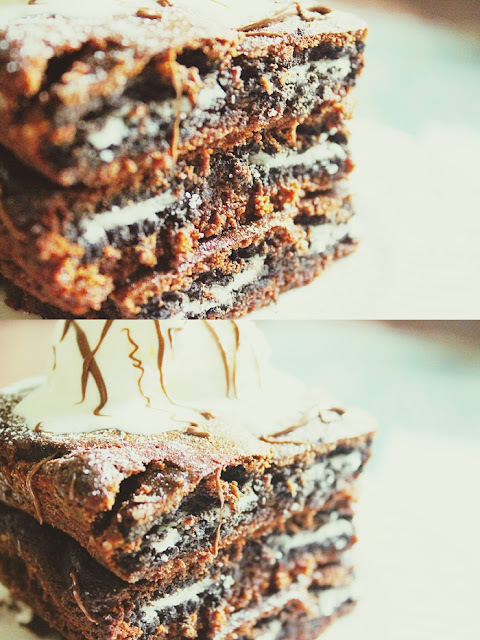 I bring to you Oreo stuffed brownies, topped with vanilla ice cream and nutella swirls, dusted with icing sugar. Try this out. It didn't last a day in my world and there were still some grumpy people who didn't get any. 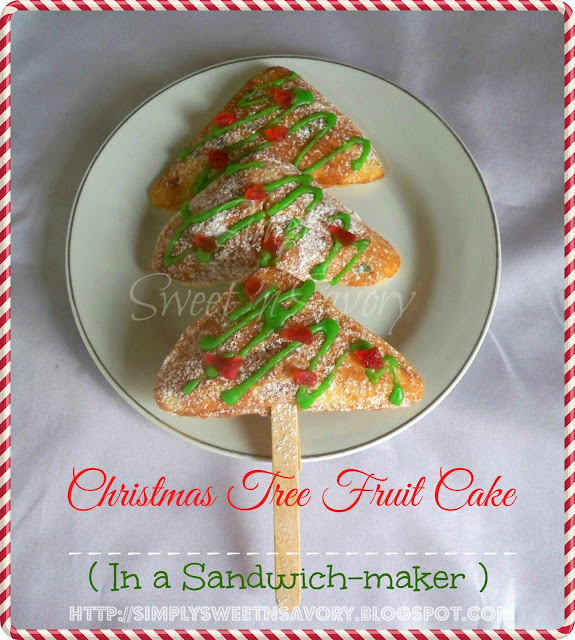 Christmas Tree Fruit Cake ( In a Sandwich-maker ) ... How about some quick fruit cakes for this Christmas! These little triangle cakes, made in a sandwich maker, are a great option for last-minute Christmas cake. 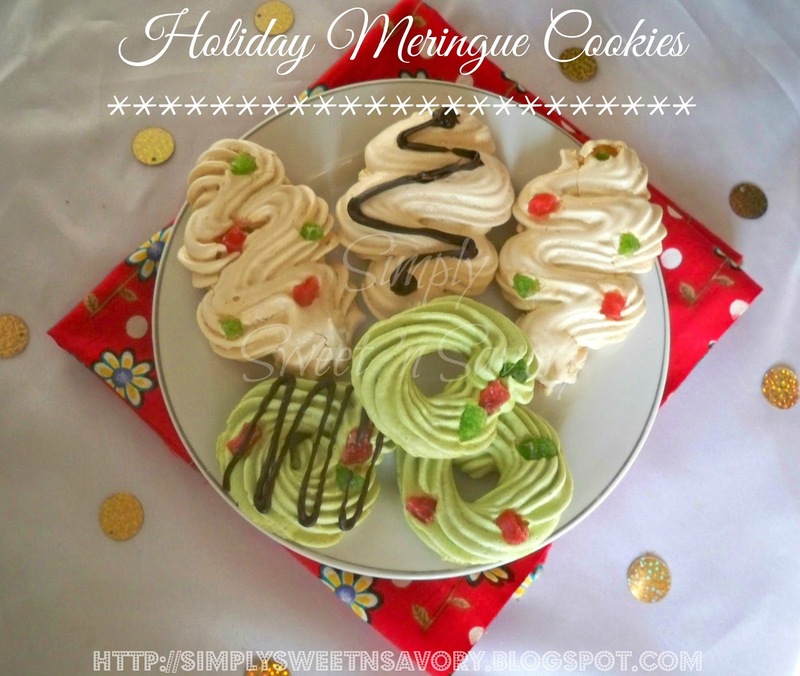 Holiday Meringue Cookies ... 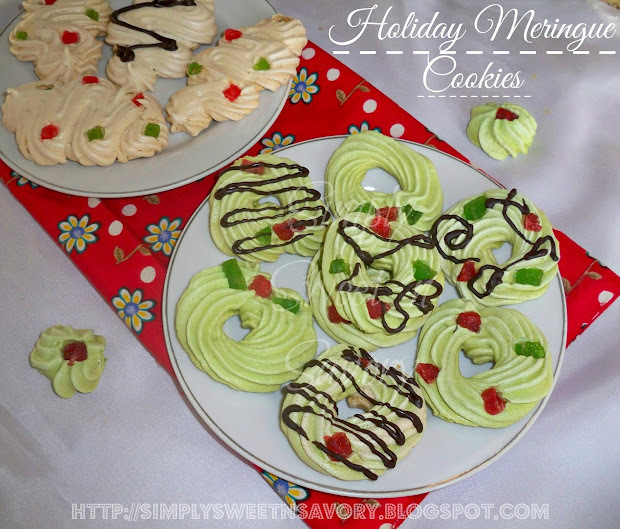 Delicious meringue cookies, shaped into Christmas trees and wreaths. Light, airy and sweet confections that are crisp on the outside and soft and slightly chewy on the inside. Hi everyone! 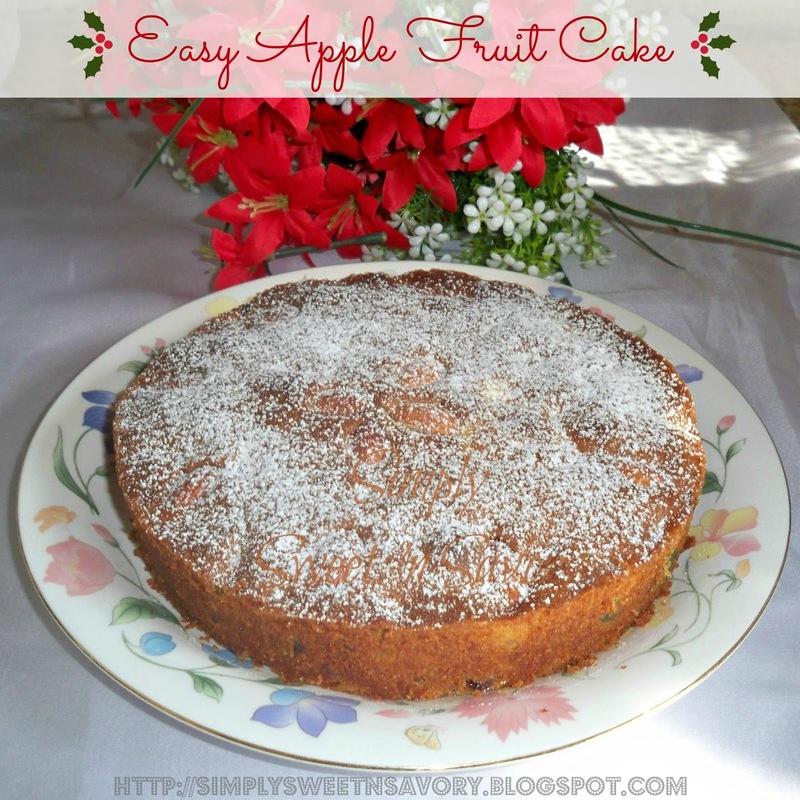 I'm guest posting for Jerri of Simply Sweet Home today! Her blog is full of recipes, projects and product reviews. She is celebrating the holidays with Six Weeks of Christmas Treats, by featuring guest posts throughout the season. I’m sharing an easy apple fruit cake recipe which is packed with apple chunks, candied fruits and raisins. 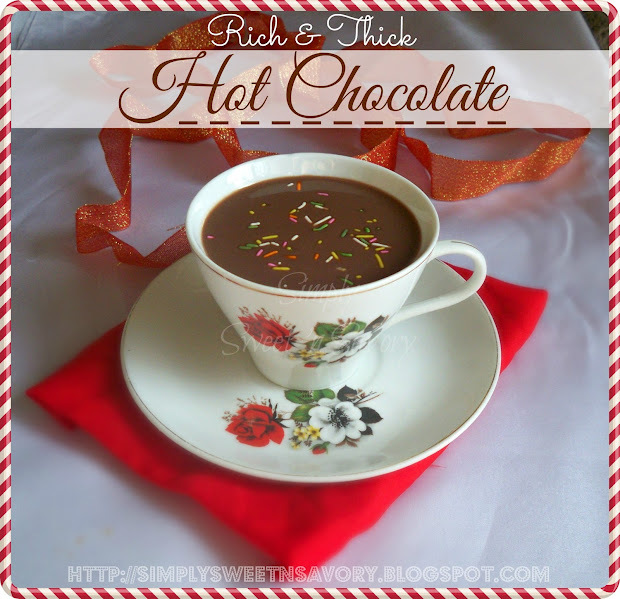 Rich & Thick Hot Chocolate ... Creamy, rich and thick hot chocolate recipe that will warm you up in the cold weather!